When you live in an apartment, you're almost sure to have many people living around you. Neighbors can turn out to be a big help (they can collect your mail and sign for a package while you're away) or even become your friends. But, as you may already know, a bad neighbor can get under your skin or make your blood boil. Example: After living in your apartment for a few months, you start to hear someone playing piano through your wall. This continues for a week, at which time you decide to talk to your next-door neighbor. Your neighbor explains that she just bought an upright piano for her son and that he needs to practice every day. She didn't realize the noise was bothersome and says she can easily move the piano, so it's up against an interior wall instead of the wall that you share. Starting the next day, your neighbor's son practices piano, but you don't hear a thing. Problem solved! Unfortunately, not all neighbors are so reasonable. 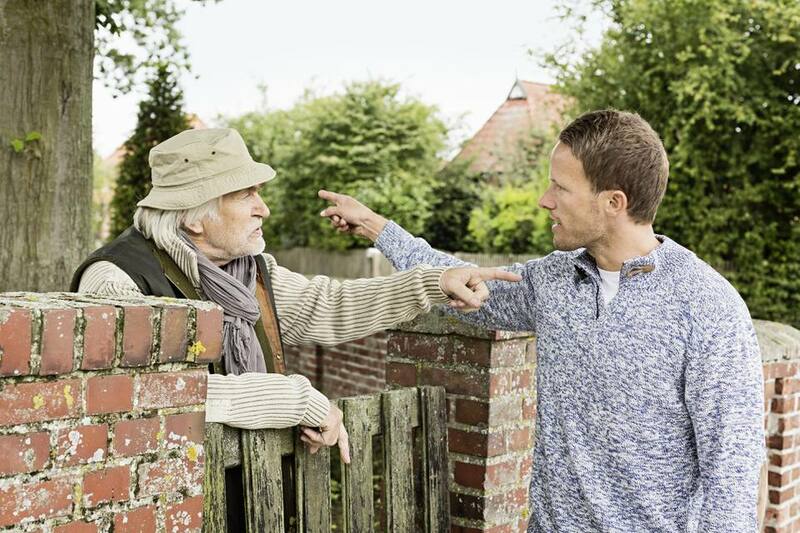 If a neighbor gets confrontational, don't take the bait, but make it clear that you're not there to argue. If your neighbor persists, leave, but don't despair. The fact that you chose to approach your neighbor will cast you in a better light if you talk to your landlord or go to court. You have the right to live in your apartment without being disturbed. (Lawyers call this the "implied covenant of quiet enjoyment.") If a neighbor disturbs your peace, your landlord may need to put an end to it. For example, your landlord might need to enforce a lease provision that sets aside certain hours as quiet time against a tenant who makes loud noise late at night. Or your landlord might need to send a stern warning to a tenant against smoking in the hallway just outside your apartment door. When tenants aren't at fault for the problems they cause, your landlord may still be in a position to make things right. For example, if your apartment walls are so thin that you're disturbed even when your neighbor talks or plays music at a reasonable volume, see if your landlord can reinforce the walls. If a tenant's cigarette smoke finds its way from her apartment to yours, ask your landlord to install high-quality filters or make adjustments to the ventilation system. Keep in mind that your landlord will be more inclined to resolve such problems if you've been a good tenant who pays the rent on time. If a neighbor harms or threatens you in any way, call the police. Same goes for neighbors whom you spot conducting illegal activity in your apartment building, such as drug dealing. You can be sure that a visit by the police will get your landlord to pay more attention to your situation. Fight noise with white noise: Creating white noise can help cancel out any offending sounds from an inconsiderate neighbor. Turn on a fan or play a CD of ambient sound effects. Or, consider investing in a good "white noise machine." These small machines create a continuous, gentle sound of rushing air, which masks stray noises so that you can concentrate or relax. You can find these machines at most stores or online retailers that sell housewares. Wear earplugs: Wearing earplugs can help ensure you get a good night's sleep or get the peace you need to do work on enjoy a book. Buy air purifiers: These nifty machines not only make the air you breathe cleaner and healthier for you, but some also mask cooking odors that may waft in from a neighbor's apartment. As a last resort, you may be able to sue your landlord for breach of quiet enjoyment. Also, if you leave in the middle of your lease term, claiming that your landlord broke the lease by breaching your right to quiet enjoyment, your landlord may decide to sue you. Either way, stay prepared for that possible day in court by keeping good documentation to support your case. For example, keep a log that shows each "bad neighbor" incident and explains your attempts to resolve problems. Also, note any promises that your landlord or your neighbors have broken. Maybe you've reached a point where neighbors have been causing too many problems for you. Or perhaps you've tried all of the above tactics, and they didn't work. Remember, you still have the option to move. If you find a nicer, quieter apartment, then moving may prove to be the best tactic of all.